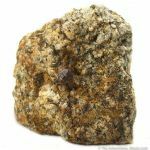 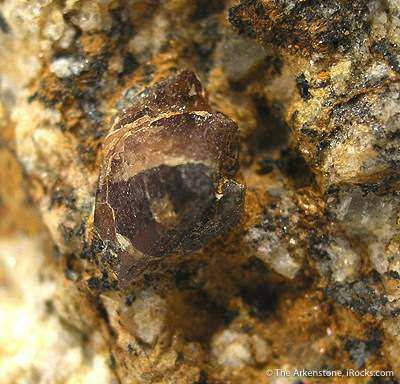 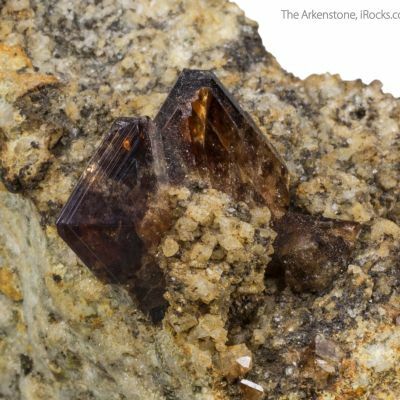 This locality is better known for the world's finest bastnaesite crystals. 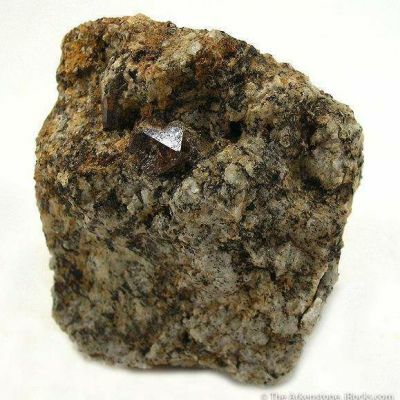 However, this rare, zinc, beryllium, silicate, sulfide, in matrix is a pretty special specimen, too. 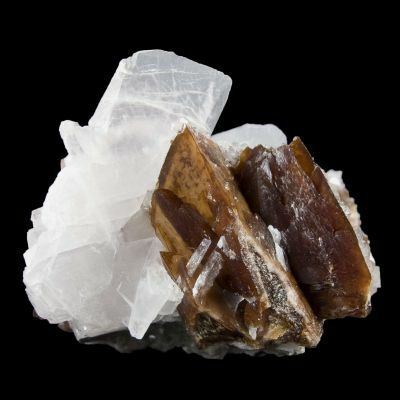 A single, lustrous, brown, crystal of genthelvite, 1.0 cm across, is nestled in a vug. I have seen only a few from the locality. 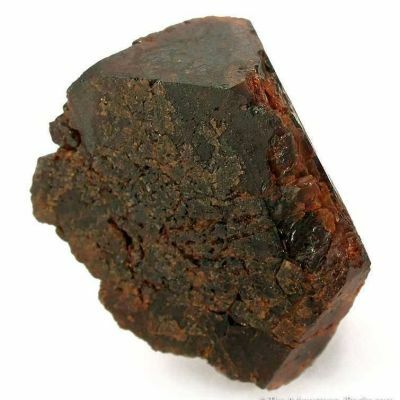 On eimagines many are sold in error as zircon or some other more common species.